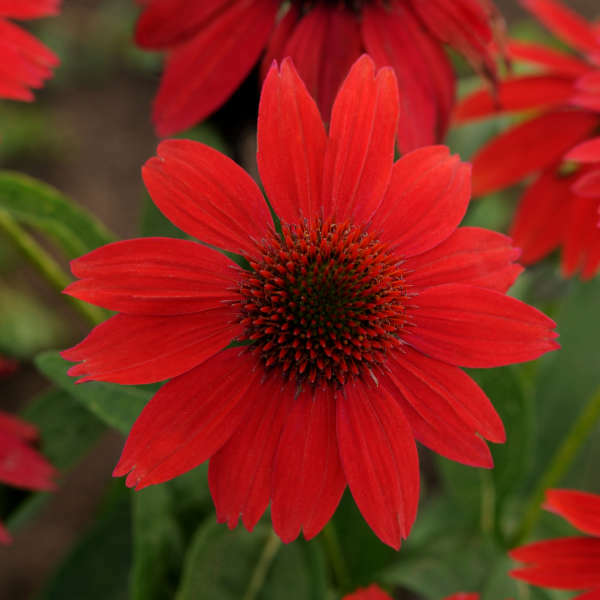 Echinacea SOMBRERO� SALSA RED ('Balsomsed' PP23105 CPBR4671 US7,982,110) | Walters Gardens, Inc. Apply 100-200 N ppm of a standard water soluble fertilizer every 7-14 days once plants begin growing. 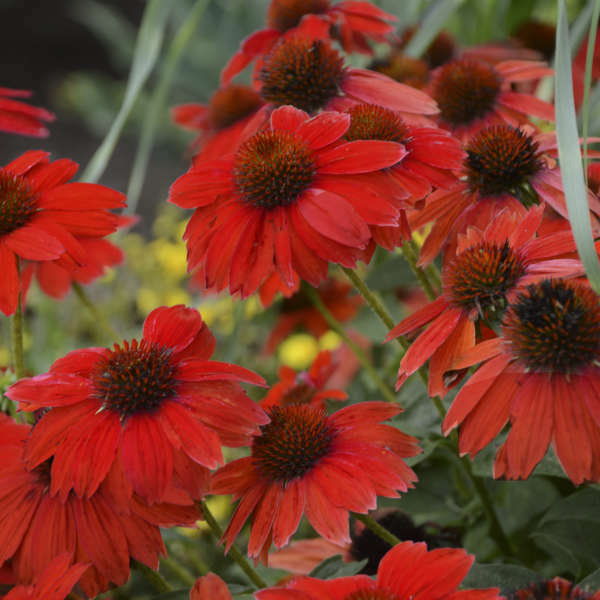 Echinacea DO NOT like to be over fertilized when growing in containers. This often leads to increased incidences of crown and root rots and a general decline in plant vigor. Use slightly acidic soil with an EC of 1.0-2.6 using the pour through method for best results. Cold beneficial. 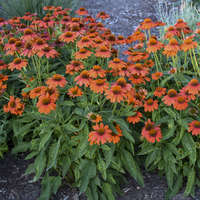 An 11-14 week cold period will increase the number of flowers and overall quality of Echinacea. Scout for whitefly, aphids, thrips and many types of caterpillars. 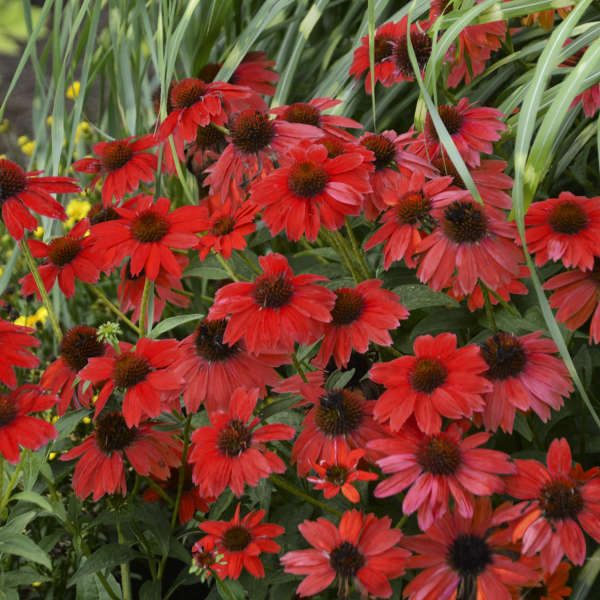 Many of these insects carry plant viruses that can be transmitted to Echinacea. If conditions are favorable they can be susceptible to Botrytis, Rhizoctonia and Pythium. 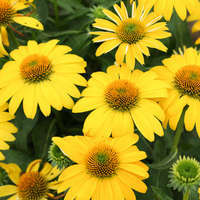 Echinacea are susceptible to Aster Yellows disease, which is caused by a phytoplasma transmitted by the six-spotted (aster) leafhopper. Affected plants generally show yellowing of the leaves, reddening, and stunting in the early stages of disease development. One of the most notable signs of Aster Yellows is deformed flowers. 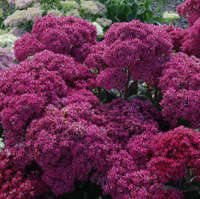 To get the plants to bulk up before winter, increase their day length and do not allow them to flower. Keep plugs moist until they are ready to transplant. Just before transplanting, make sure the plugs are well watered. 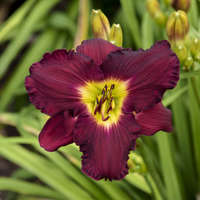 Once they have been transplanted and are actively growing, it is important that they are not overwatered. Overwatering may result in plants that grow more slowly in containers and are more susceptible to disease. Plants should never be allowed to sit in excess water. Because night interruption lighting will cause plants to stretch, make your first growth regulator applications before lighting begins and apply again two weeks after lighting begins. Discontinue lighting once the plants begin to grow. B-Nine at 2500 ppm or Sumagic at 5 ppm works well to control overall height. Sumagic applied as a drench at 1 ppm works also works well. 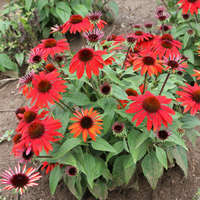 Echinacea are considered intermediate day plants, requiring 12 to 16 hours of day length to flower. Day lengths less than 12 or more than 16 hours will tend to keep the plants in a vegetative state. 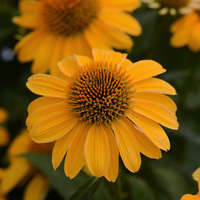 When day lengths are short and flowers are desired, provide 4 hour night interruption. Be sure the plants are fully rooted and have a good size crown. 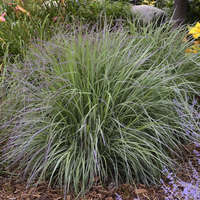 Undersized plants will not overwinter well. Slowly reduce the level of feed going into fall as the temperatures cool. It is recommended to drench plants with a preventive fungicide treatment with Banrot in late summer to prevent root and crown rots. A soil test should be performed to measure where the soluable salts levels are (also know as EC). This should be in the .5-1.0 range using the pour through method of testing. Elevated salt levels will burn the roots and cause crown and root rots. Monitor soil moisture through the winter. Avoid overly wet conditions and be sure to avoid heavy condensation in the greenhouse. During exceptionally cold periods during the winter a heavy frost blanket will help provide extra protection from the cold. Avoid large tempereature swings as this causes premature growth.